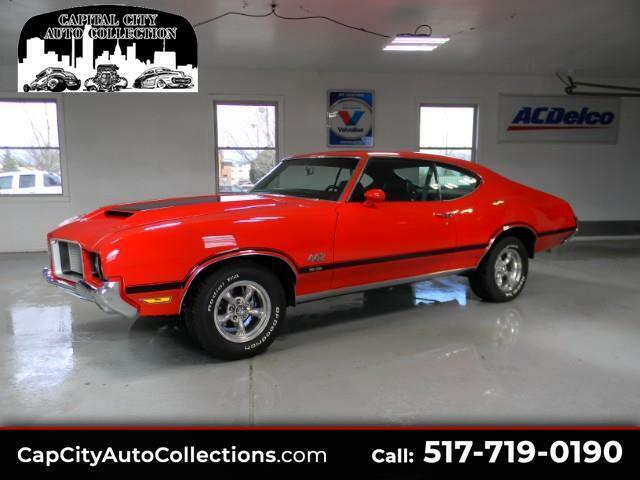 The Oldsmobile 442 has been gaining traction in the Muscle car world as of late. They have been seeing a steady increase in value over the last couple years. And this one is a great opportunity to jump in and ride the wave. The car is fresh off a restoration which included body and paint, a fresh new 455 H.O., freshly rebuilt T.H. 400 trans & converter, new Torque Thrust wheels, & B.F. Goodrich tires. Re-done in a stunning Red exterior with Black interior it commands attention everywhere it goes. This is one of the nicest tribute cars you will find it has documentation dating all the way back to the original owner including service records, invoices for all upgrades etc. $35,900 o.b.o. Message: Thought you might be interested in this 1972 Oldsmobile 442.